Verizon Communications Inc.’s decision to purchase AOL Inc. for about $4.4 billion, aimed at “building digital and video platforms to drive future growth” as it said on Tuesday, has a striking similarity to the strategy adopted by Reliance Jio Infocomm Ltd, the telecommunications unit of Mukesh Ambani-run Reliance Industries Ltd. Consider this: Verizon said the AOL acquisition further drives its LTE (long-term evolution) wireless video and OTT (over-the-top) video strategy. “The agreement will also support and connect to Verizon’s IoT (Internet of Things) platforms, creating a growth platform from wireless to IoT for consumers and businesses,” a Verizon statement said. Reliance Jio has a messaging service called Jio Chat that was launched early this year to compete with services like Whatsapp, an OTT services provider. The company also has a plan to have Voice over LTE (VoLTE)—a data-based voice service where voice packets can be prioritized over the network, similar to VoIP. AOL owns global content brands like The Huffington Post, TechCrunch,Engadget, Makers and AOL.com, as well as video content and programmatic advertising platforms. “AOL’s advertising model aligns with this approach, and the advertising platform provides a key tool for us to develop future revenue streams,” Lowell McAdam, Verizon chairman and chief executive said on Tuesday. Like Verizon, Reliance Jio’s cloud-based services are expected to span healthcare, education and entertainment, and build synergies with the home shopping and content businesses of Network18 Media and Investments Ltd, in which RIL has acquired a majority stake. Reliance Jio also intends to tap Reliance Retail Ltd’s proposed e-commerce venture and projects of Reliance Foundation, RIL’s philanthropic arm. 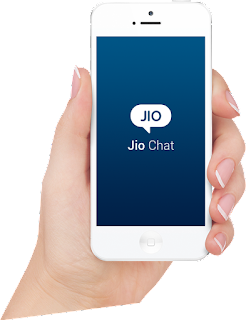 Reliance Jio’s data centres will help it offer its planned services like direct-to-home (DTH) television, video-on-demand, mailing and messaging services and voice over Internet telephony (VoIP), again similar to what Verizon is planning. Reliance Jio also has apps like Jio Mag for news, Jio Beats for music and Jio Play for television, according to a company executive who did not wish to be named. Reliance Jio plans to launch its high-speed data services across the country using a blend of several technologies, including two rival 4G high-speed wireless technologies, as well as other network options like FTTx (fibre to the location) and Wi-Fi hotspots. However, Reliance, which returned to the telecom business in 2010 by acquiring 95% stake in Infotel Broadband Services Ltd, the only company to win pan-India broadband wireless access spectrum, is yet to launch commercial services. During the spectrum auctions that concluded on 25 March, Reliance Jio added spectrum in 800 MHz across 10 circles and in 1800 MHz across six circles. Overall, besides a pan-India presence in the 2300 MHz band, the company also gained potential voice/ FDD-LTE solution (800/1800MHz) in 20 circles post the auctions, which is consistent with its stated strategy to focus on 4G, according to a 27 March report by Barclays analysts. On 16 November, Reuters reported that Time Warner will spin off its AOL unit on 9 December. When AOL’s plan to merge with Time Warner was announced in January 2000, the Internet company was valued at $163 billion, the report said.